I picked the last place on King St. where I could sit in the middle of the street and not worry about cars crossing the intersection. I wanted to get a long view of the crowds milling about and waiting to get into all the wonderful restaurants along the street, queuing up to the food vendors, and watching the festivities in the park. The best thing about sitting in the street is that I had lots of people to talk with as they came up to see what I was doing. The kids are always shy at first until you ask them if they like to draw too, then they like to tell you about their own drawings. 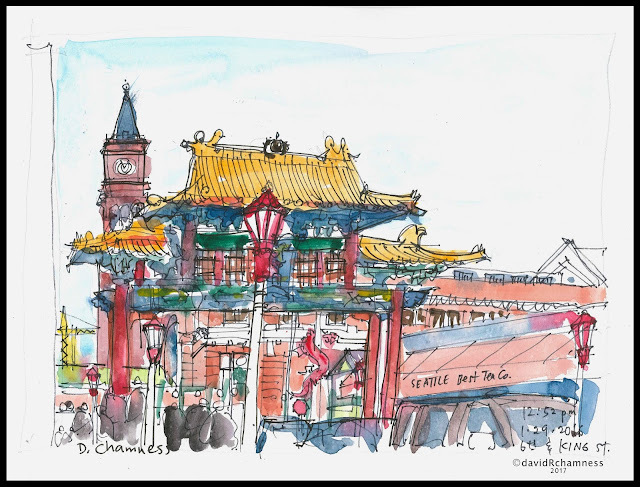 For my second sketch, I wanted to go down and paint the Historic Chinatown Gate since it was down at the end of my first sketch. 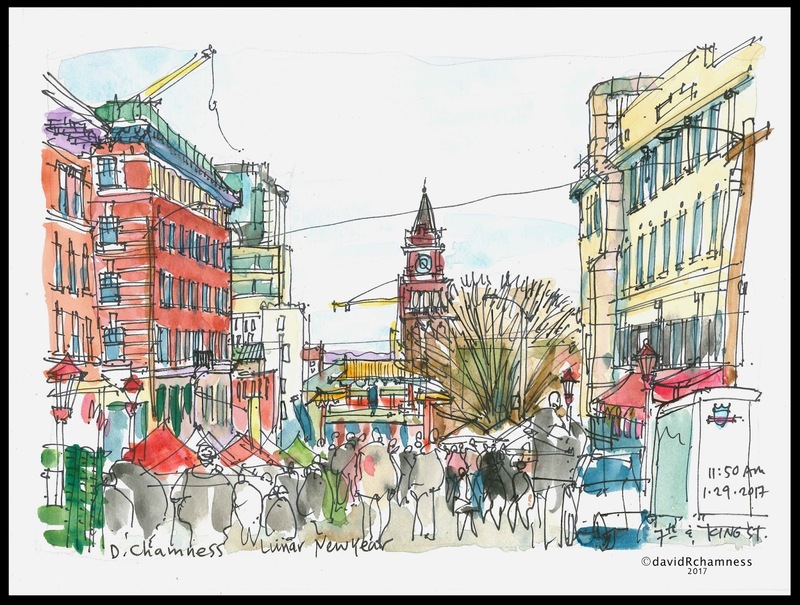 It was good to put the King Street Station Tower in both views as a point of reference also. Yes, wonderful and so vibrant and full of energy. Fantastic sketches, David! And it was so cool to be able to sketch in the middle of the closed street!